Since 1913, Wright Holmes has published a complimentary directory of carefully selected law firms that specialize in commercial collections, creditors' rights and bankruptcy. Today, our online directory of commercial collections lawyers also contains a state-of-the-art mapping feature for your convenience. Whether you are one of our esteemed forwarders or a valued listee, we are committed to providing outstanding, knowledgeable service and the best commercial collections agency information at your fingertips. We don’t list every commercial collections firm – just the Wright ones! Wright Holmes Law List offers a nationwide listing of experienced commercial collections Lawyers and commercial collection service agencies. You found the Wright List for commercial collections Attorneys’ practices for your local, national or international commercial collections needs. If commercial collections are an important part of your business, then we are the Wright List for you. Wright Holmes Law List, the industry leader in commercial collections forwarding for nearly a century. The Wright Holmes Law List of commercial collections lawyers is published annually and is designed to help those who need experienced creditors' rights counsel on a national and/or international basis. 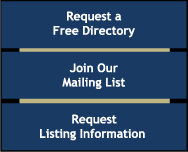 Our directory contains more than 1,200 qualified law firms located throughout the U.S., Canada and 35 other countries. You can forward to a Wright Holmes listee with confidence, knowing that our commercial collections attorneys have been carefully screened and are protected by our million dollar fidelity bond provided by Great American. Copyright © 2014. Wright Holmes Law List. All Rights Reserved.